Are you planning to make a playground in your community? If yes, here is something for you. 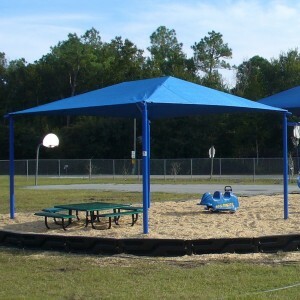 We all know playgrounds are certainly the best place for kids where they can play and enjoy with their friends. Not just kids, even adults like to come to a park for a morning or evening walk. Hence, it is not an easy job to create a park which is liked by both children and adults in the community. To make the task simpler for you, we are here with certain things that you can consider before working upon your playground ideas. No doubt, kids visit the playground for exciting and fun filled play sets. You need to be extra careful while choosing the play equipment for your park. Whether you are buying them online or from tangible store, make sure you deal with IPEMA certified manufacturer who offer superior grade play sets. Ensure that he has followed all the guidelines defined by ASTM and CPSC. For the safety of kids, check there is no pointy edge or rough surface that can harm them. You must install the high quality rubber mulch under the playground equipment. This will prevent the risk of injury that occurs due to fall from the sets. Begin with installing commercial grade benches at the required places in the park. Construct concrete pathways covering the park boundaries, making it convenient for them to go for a nice walk. You can also place great picnic tables for the families to eat, talk and enjoy their picnic in the park.Along with this, you can also install planters, outdoor shade structures, trash receptacles and the like to make your park neat and clean.